Our tour leaders are trained & experienced professionals who are passionate about travel and sharing the best of our destinations with our travellers. Equipped with first-hand and historical knowledge, our tour leaders will also provide some context into the countries you are visiting. Join us on the road and experience the magic of an Expat Explore tour! If you are interested in becoming a tour leader for Expat Explore, please click here. 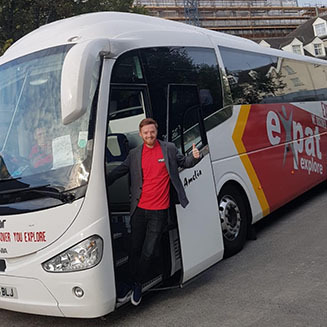 Carl co-founded Expat Explore, after his first trip to Europe in 1997 inspired him to bring other expats to show them the sights! Today, Carl is a true explorer, and the mastermind behind our fantastic itineraries. When he’s not on the road, he welcomes Expat Explore passengers to the Alpenrose Hotel & Gardens in Wilderswil, Switzerland. Born in the UK, Steve has lived and worked in places all over the world! Various Greek islands, Finnish Lapland, France, Andorra, Austria and the UAE have all been called home at one point or another. Now living in Canada, Steve crosses the pond to lead tours across Europe! Born in Australia, Erin has spent the last four years leading tours across Europe. 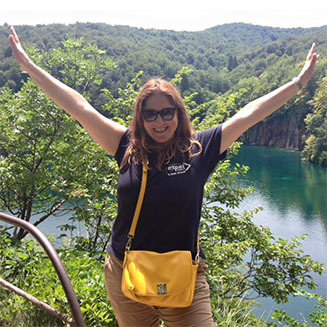 Her favourite country in the world is Croatia, and you’ll often find her leading tours in the Balkans. She loves to find the fun in very country, so be sure to ask her for the best local restaurants and bars! 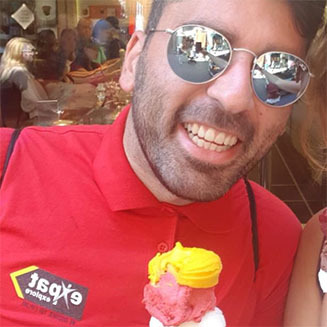 Born in the UK, Perci has over 20 years’ experience working and travelling in Europe and beyond. He’s a true explorer, always up for discovering a new destination! 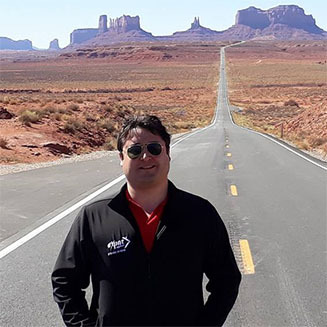 If you’re looking for travel inspiration or tips, be sure to ask him for some personal recommendations. 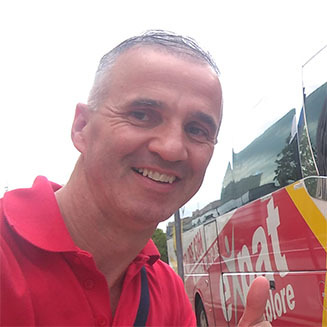 Originally from Edinburgh, Scotland, Mike specialises in our tours of Great Britain. 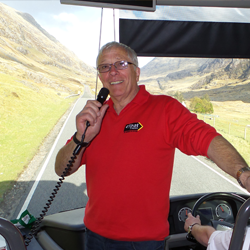 Passionate about the incredible history of England, Scotland and Wales, Mike is also a fantastic storyteller, and loves to share his dramatic tales and interesting facts on tour! 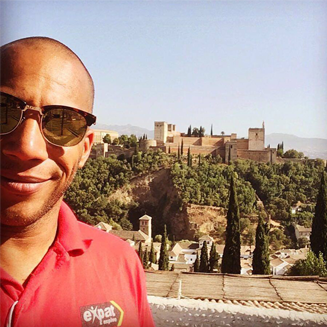 Originally from Canada, Will lived in Australia before moving to Europe to lead tours with Expat Explore. His favourite countries are Australia and Russia, but he can be found anywhere else with a good beach, good food and good SCUBA diving! 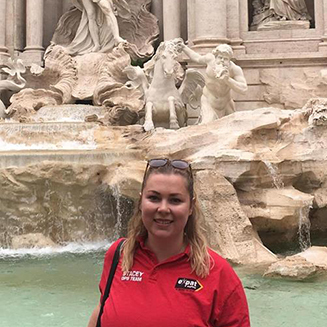 Stacey is originally from Auckland, New Zealand, and moved to Europe to become a Tour Leader five years ago. 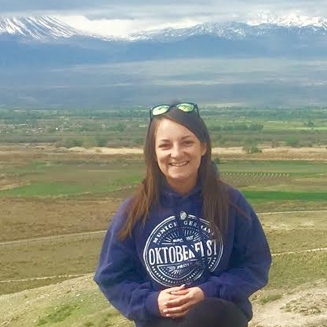 After living in Athens for a year, she has travelled and led tours in Europe and New Zealand which means she sees the sun shining all year round. Antonio is from what he (and many others!) claim to be one of the best countries in the world, Portugal! He has been travelling Europe for over 30 years, and considers the whole continent to be his hometown. He has a passion for people, and will introduce you to his many friends along the way. 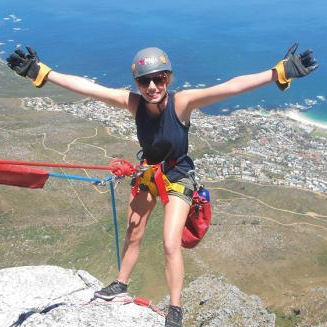 Originally from Liverpool, England, Laura has travelled to over 100 countries and counting. 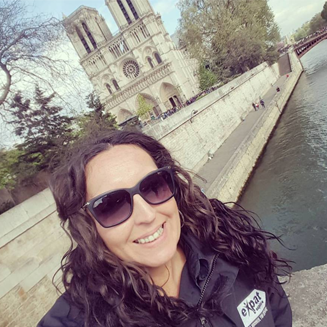 A zoologist, dive instructor and avid traveller, Laura splits her time between the zoo, the beach and the Expat Explore coach! She loves to meet new people, and share her experiences on the road. Grace is a Brit, and has travelled all over Europe from Sweden down to Spain! Her favourite country in the world is Switzerland, but you can often find her leading tours through Scandinavia and Russia. She never goes on tour without her trusty mascot, so watch out for them on the road! 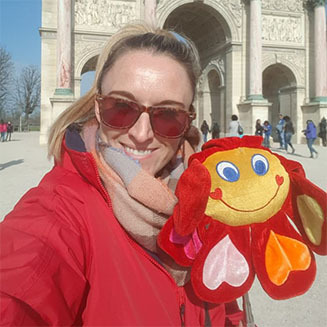 Helen has travelled to a truly impressive list of countries; her favourites include the UAE, Egypt, South Africa, the USA, Canada, Mexico, Cuba, Jamaica, Barbados, Borneo, Singapore and Japan! 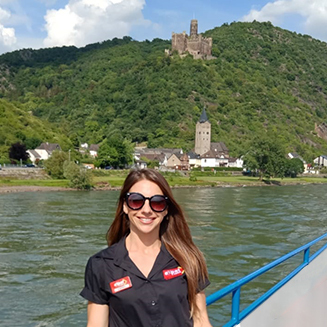 She loves to share the local food and culture of each country she visits, so be sure to ask her for the best local spots on tour. Born in Chichester, UK, Tim joined us back in July 2012. He's travelled to almost every continent on earth, and he's pretty handy with a camera too! 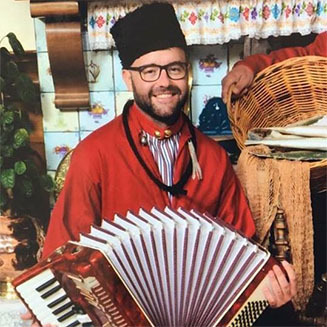 One of Tim's favourite parts of the world is Scandinavia & the Baltics! 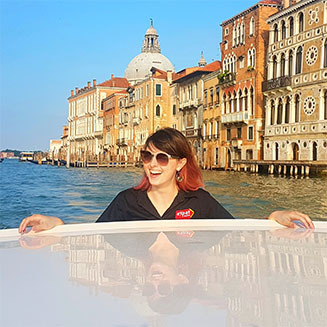 An adventure-loving Aussie, and self-proclaimed gelato connoisseur, Karina has been on and off the road for the past seven years. She enjoys chasing the sun, and has successfully avoided a proper winter for the majority of that time! 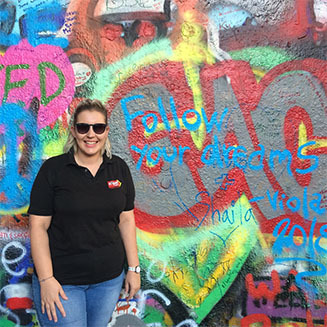 She continually aims to give people a fun and inspirational trip, which at the same time broadens their personal outlook on the world. 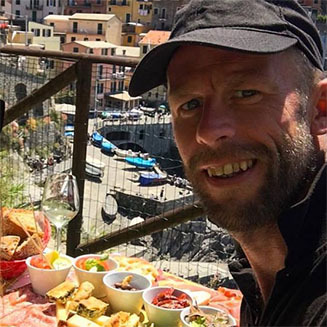 Born in Dover, on the south coast of England, Kevin has been touring Europe for 16 years and has visited almost every country on the continent. One of his biggest passions is trying the local food, so if you want any restaurant recommendations on tour don't hesitate to ask him! Lithuanian by birth, Roma is based in Rome (how fitting!) and specialises in running our Italian tours. Fluent in English, Russian, Lithuanian and of course Italian, she's full of enthusiasm for Italy, one of her favourite countries - and one of ours too! 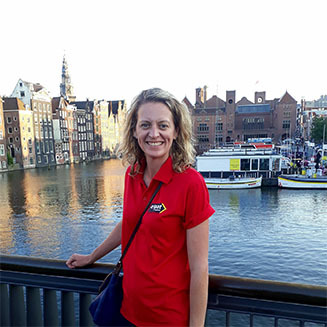 The Artful Dodger of tourism, Shabby is a London guide turned European tour leader who has travelled extensively globally and has a particular interest in eating her way around the world. If Shabby is your tour leader and you want to try the local cuisine, you're in for a treat! Mr ‘did you know’ Mike has two passions: travel and history! Born in Hertfordshire, England, Mike has travelled Europe extensively, and also grew up visiting relatives in Southeast Asia. 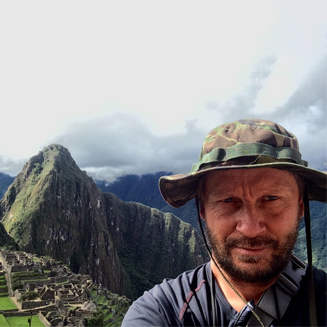 He likes to push himself outside of his comfort zone, whether that be travelling Vietnam on a motorcycle, mountain climbing in Morocco, or volunteering in Nicaragua! 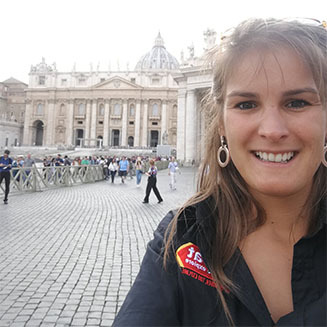 Originally from New Zealand, Kerry now lives in Ireland, and specialises in our Irish Explorer tour. She loves to share the history, tales and culture of the Emerald Isle, so look forward to some good stories along the way! Katy is from Manchester, England, and has travelled to over 50 countries across five continents. She has led tours through Europe and Southeast Asia, and trained to be a yoga teacher in India! She loves to meet new people, and is always looking for new experiences on the road. 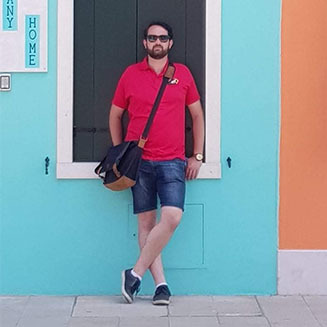 Dee is originally from Poland, and has spent the last eight years travelling, working and living abroad, in countries including Spain and Austria. 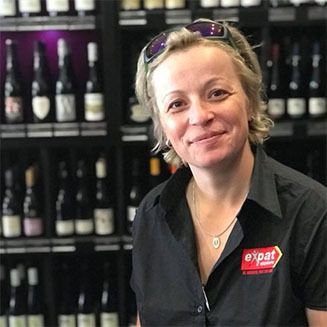 Her favourite places in the world are in the Balkans, including Albania, Bulgaria and Bosnia-Herzegovina, and you’ll often find her leading tours through Eastern Europe! Originally from Portugal, Gustavo has been touring Europe for 15 years. He’s seen pretty much all there is to see of the continent, so be sure to ask him for his travel tips and personal recommendations on the road! Originally from Australia, Shae has been on the road since 2004. During that time, she has worked and volunteered in Canada, the UK, Thailand, Kenya and of course all over Europe! 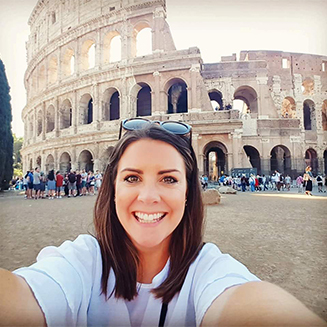 Travel is her true passion, and she loves sharing the history, cultures and sights of Europe with the people she meets. Vivien was born and raised in Hungary, and from an early age had a fascination and love for Italy. She later followed in the footsteps of her grandma, who was also a European tour leader. 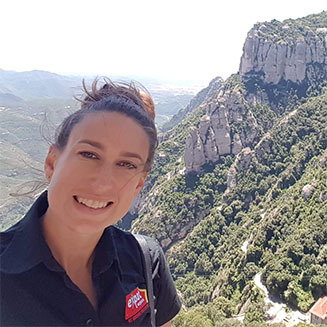 She has now been leading tours for six years, and loves to just wander and explore, and she tries to encourage her travellers to do exactly that. Mark was born in Ireland, grew up in Australia, and now leads tours across Europe! His favourite destinations are Switzerland, Italy, Spain and Portugal. 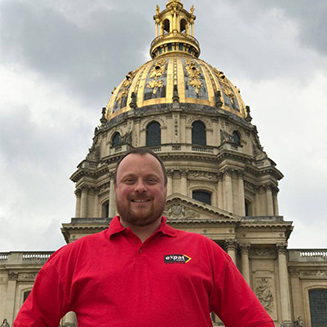 Mark has travelled all over the world, and loves to share his passion and enthusiasm with his passengers. Willem is a South African who loves his country, its history, sports and music. He enjoys meeting new people, experiencing their cultures and creating wonderful memories. 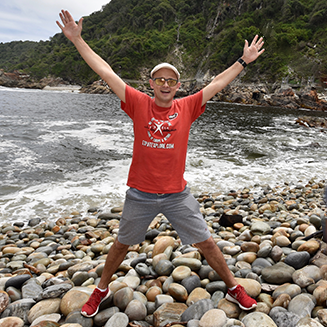 Join him on our fantastic South African tours to experience the very best of the Rainbow Nation! John was born in Liverpool, England, but moved to Australia to work as a dancer. 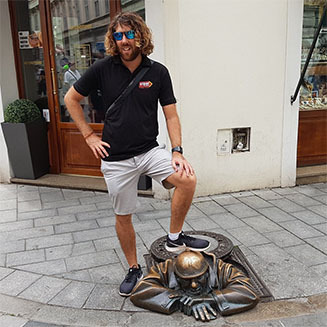 When he decided to hang up his boogie boots, he returned to Europe to embark on a life of adventure and travel! He still loves to learn the local styles of dance while travelling, from Salsa in Colombia to Kathak in India. Born in a small town in Western Australia, Bec loves the outdoors and anything to do with the beach. She has a passion for exploring new cities and trying different foods from across the world! Her favourite part of travelling is getting to know new people, and introducing them to the beautiful sights of Europe. Born in South Africa, Richard has been on the road since 2015. He lives for outdoor adventure and sunny skies! 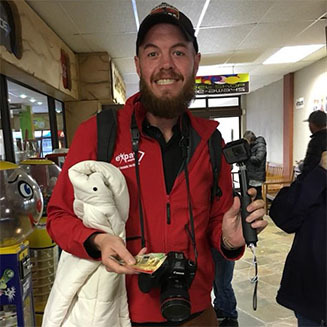 He has a passion for travel, and for helping others to enjoy the thrill of adventure and new experiences. 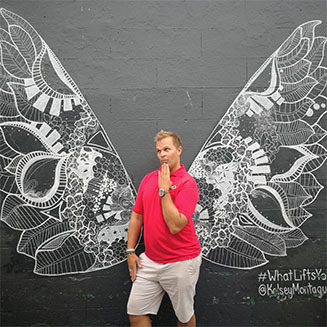 South African born, Matthew enjoys lekker chats around the Braai and seeing everything Africa has to offer. He has a keen passion for history, animals and the birds of Southern Africa. Matthew enjoys meeting people along the way and learning about other cultures and funny stories. 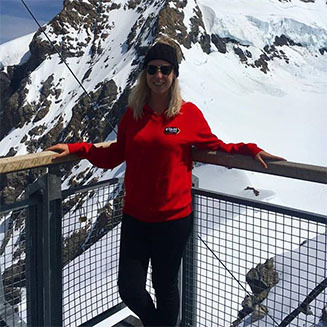 Rachelle first packed her bags and left Australia in 2006, to work a ski season in the Rocky Mountains. The travel bug hit, and she hasn’t stopped travelling since! She loves meeting the locals, and exploring the back streets of new destinations. She is also a language-aficionado, and can usually be found in any non-English speaking country! Born and raised in Australia, Aaron left to travel when he was 18 years old. Since then, he has travelled, lived and worked in countries across Europe! He has a passion for food, and can usually be found pigging out on the local cuisine. Be sure to ask for his favourite local spots on tour. Originally from Sweden, Caroline has lived in countries including the UK, Italy and Australia. She loves the outdoors, and takes every opportunity she gets to explore new hiking trails! Travel is her true passion, and she loves to meet new people from all over the world. Larry always knew from the time he saw his first map that he wanted to be a world traveller. Born in New York City, he has travelled independently to all fifty states and 135 countries. 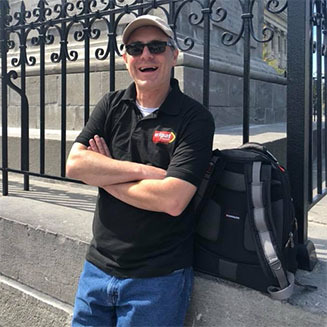 After working for fourteen years as a radio and television news and talk show producer, he decided he was more suited for the travel industry and has been leading tour groups since 2004. Originally from Transylvania, Romania, Andreea is out to prove there is more to her hometown than Count Dracula! 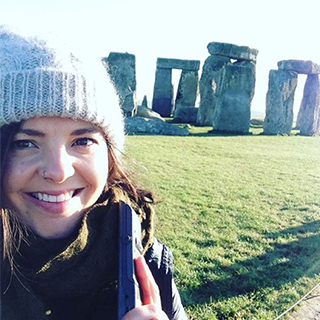 A passionate traveller, big foodie, and a lover of wine and the sea, Andreea loves to share the beauty, history and culture of each country she visits. 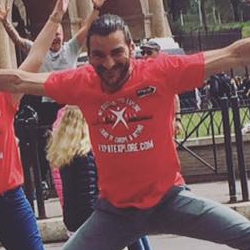 Filip is from Split, Croatia, and likes to “split” his time between cities all over Europe! His superpower is to talk in many languages, and he loves to share the cultures and languages of new countries with his travellers. Simon was born in Uganda and lived in Singapore as a child. He went to school and university in England. He has worked as a school teacher and flying instructor but neither jobs were exciting enough to stop him travelling. He leads tours and treks all over the world. He believes that there is something fascinating in every location: you won't know what it is until you go there. Half Spanish and half German, Marysol was born in Venezuela but raised in France. She speaks many languages, and is starting to worry that it will be difficult to choose one to have a conversation in when she gets old! 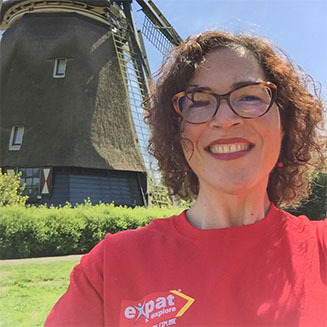 When not on the Expat Explore coach, you’ll find her on stage or curled up with a good book. 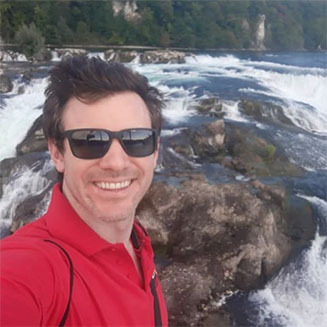 Originally from Australia, Blake is an avid traveller, and has visited 40 countries and counting. Travel and stories are his passions; he loves to read about history and science, so you can look forward to historical tales and random fun facts along the way! 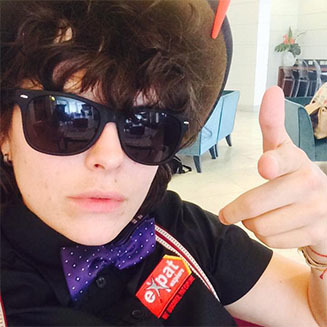 Carly is a self-confessed travel addict! 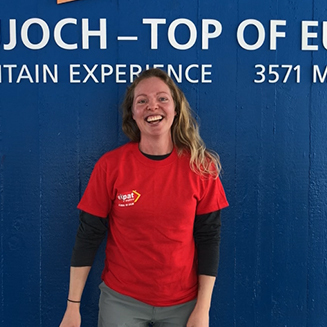 When she’s not leading tours of Europe, she’s backpacking and hiking her way across the world, stopping at every beautiful mountain along the way. 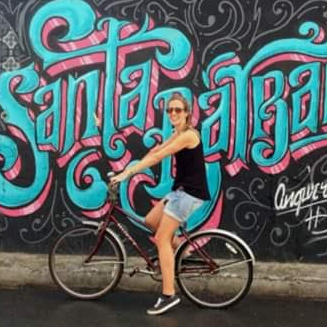 She loves to explore new destinations, so be sure to ask for good photo spots along the way! 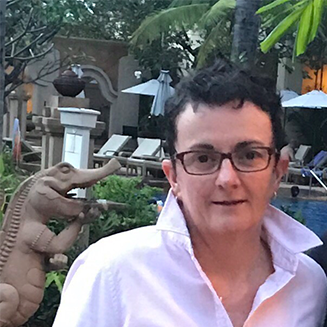 Kim is originally from Adelaide, Australia, and has spent the last several years travelling the world and living in South Korea, Germany, and the UK. She started tour leading a few years ago, and finds it an excellent way to combine her main interests - history, cats, and food!